Bessie, the original ice cream truck, used to belong to the famous Ice Cream Man. It has been used to hand out 100s of thousands of free ice cream. No, I would never joke about something that serious. We love ice cream. We know most others love ice cream, so why not find a way to spread the love. We go to events and give everyone free ice cream. Everyone is happy and only kind words are spoken. It's utopia. Everyone goes icecreamian. That's why we do it. We are able to do it because of our sponsors. 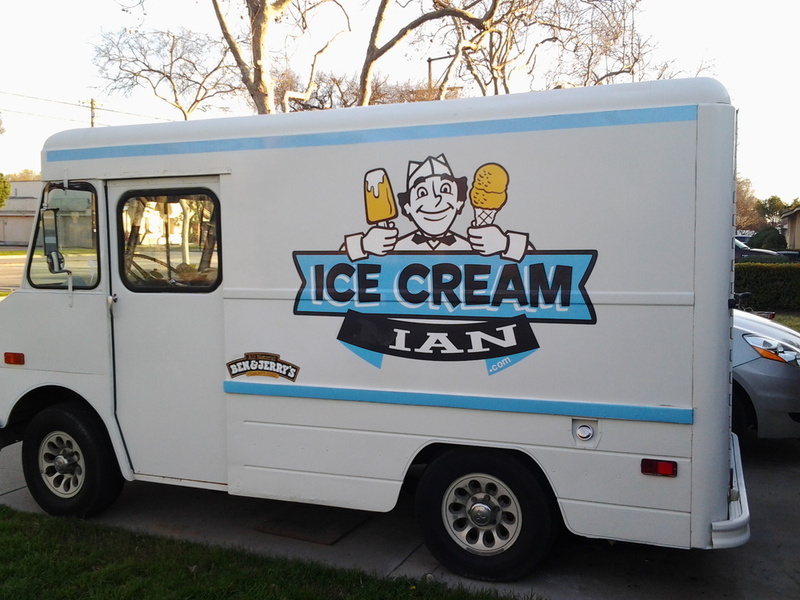 Ben & Jerry's has supported Ice Cream Man for many years and currently supplies Ice Cream Ian with ice cream to give out at FYF Fest, Doheny Daze, Desert Daze, and countless other events and festivals. We are always looking for more sponsors to help us give away more ice cream. And sometimes, yes, gas, dry ice, repairs on the ice cream truck just get charged to a credit card and we figure out how to pay for it somehow. I'm not a rich millionaire, but I do have another job that helps support our ice cream endeavors. My truck is also available for rent to be used as a prop vehicle for movies, television shows, commercials, photo shoots, and other promotional events. The money we generate from that goes back into giving out free ice cream.